Lyrawa Bay is now acting as tender to Sealand Performance 11 June 2009. Was Munro too expensive? 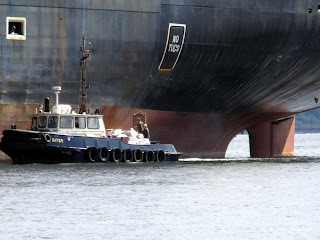 A great shot of Clyde Marine Services' Biter unloading stores 06 June 2009 by ClydeNavalGazing correspondent Neil Robertson.